Just because a workflow is made to be digital doesn’t make it efficient. A manual digital process can end up having many “moving parts” and more touch points — creating chances for human error. 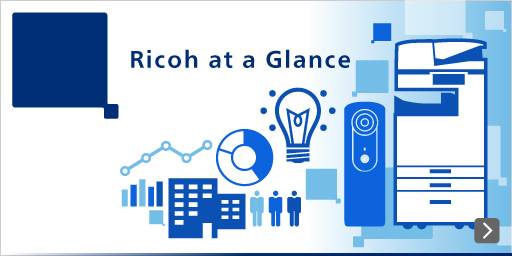 At Ricoh, we accomplish true productivity with automation that is intelligent, repeatable and reliable — helping you reduce the burden of manual data entry and manual file routing. 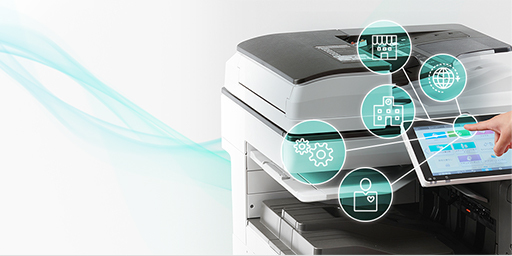 Our easy-to-use workflow apps connect your RICOH multifunction printer (MFP), and smart device to popular third-party cloud services, so that important information becomes instantly accessible and ready to use and share. 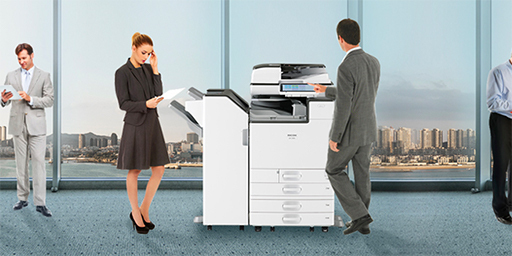 RICOH Smart Integration will help your work to be more efficient enabling you to have more time away from the office. Connect your RICOH multifunction printer or smart device to the most popular cloud services. (Google, Microsoft, Dropbox, Box, and many others). The subscription business model gives you quick access to the latest app versions with no need for high upfront costs. 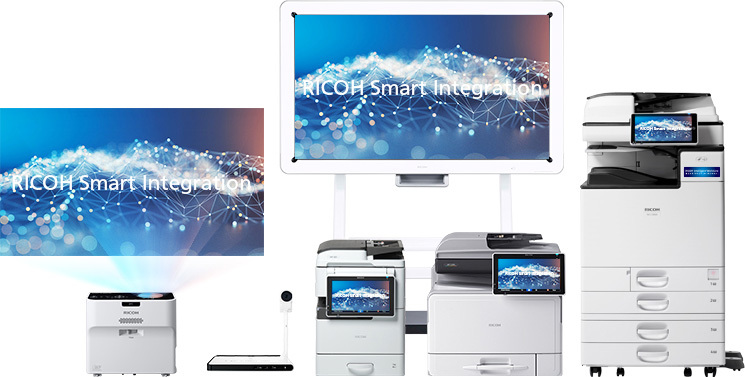 RICOH Smart Integration Apps are available for various RICOH products and other smart devices. Connect your MFP or smart device to the most popular cloud services. (Google, Microsoft, Dropbox, Box, and many others). * Box and the Box logo are either registered trademarks or trademarks of Box, Inc in the United States and/or other countries. * Dropbox and the Dropbox logo are either registered trademarks or trademarks of Dropbox, Inc in the United States and/or other countries. * Google, Google Drive and the Google Drive logo are either registered trademarks or trademarks of Google LLC in the United States and/or other countries. * Microsoft and the Office 365 and OneDrive logos are either registered trademarks or trademarks of Microsoft Corporation in the United States and/or other countries. It’s important to have time to spare at work. Important documents can be digitized and stored safely in the cloud where they are easy to locate, so retrieving them takes much less time. It’s incredible when you think how long it used to take to do it all manually. The best solution to work faster and smarter.